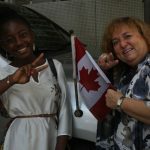 Home Post Tagged with: "Young Reporters"
YOUNG REPORTER – My name is Sarah, I am 17 years old and I coordinate the Young Reporters in my Province, Haut-Uélé. On 20 November, during events celebrating Universal Children’s Day, we had the opportunity to give a speech to the authorities and one month later we have now received a positive response. 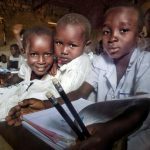 YOUNG REPORTER – Find more about Jean Paul Luketo’s big appeal concerning dignified learning conditions for children in his Province. 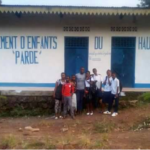 PARTICIPATION – Eliel, 14, and Gloire, 17, explain their role in creating 343 branch offices of the Civil Registry in the province of Haut-Lomami. 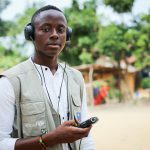 YOUNG REPORTER – What is the impact of armed conflict on children in the north-east of the DRC? 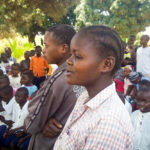 Zawadi,and other children the fear of armed groups is daily. Child Reporters Protection	1 March 2017 No Comments on Child-Pastor or child-beggar ? 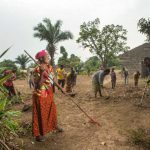 NEWS – Since 2014, the city of Goma in North Kivu, hosts every year the Amani festival, internationally known for its promotion of the culture of peace. 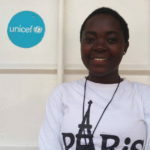 Elodie, 14, and Child Reporter, narrates her participation in the three days of the festival! Child Reporters Water and hygiene	29 November 2016 No Comments on Our advocacy for « Healthy Neighborhoods » in DRC has succeeded! 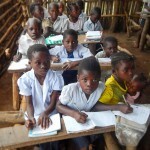 Two months after the school start in DRC, too many children are still not registered. Erick, 13, explained hisstory, his struggle and his hopes. 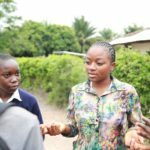 For the International Day of the Girl Child, Eunice became Ambassador for one day and was the spokesperson of the cause of all the girls in the DRC. Field mission conducted by the Young Reporters to meet with Valeti, a widowed mother, who had no more money to send her children to school.